So I have been taking that Chinese medicine I bought for almost a week now. I have a good feeling about it working, but I everyone tells me that Chinese medicine is really slow and takes about a month to start working. Yay. Chinese medicine tastes so bad but I’ll live. On Monday I went to a nearby hospital to talk to their Chinese medicine doctors. I paid 15 Kuai and got a full examination which consisted of the doctor feeling my pressure points, checking my pulse and tongue, and asking me a bunch of questions. I guess my body has too much cold and wind, so I’m guessing I need fire and dampness to offset it. At the hospital I also experienced acupuncture and fire-cupping. Acupuncture is the most well known to westerners out of these two. They do exactly what you’ve seen: put needles into you. The needles don’t go deep and they don’t hurt. They also do not put as many in you (at least your first time) as you might have seen on TV. They put about 6 needles in me, all into the spots nearby where my pain was. On two of the needles in my back, they gave me some electricity. That was almost the most uncomfortable part, just pulsing electricity through my body for about 20 mins. The electricity isn’t harmful in any way, but it still feels weird. The most uncomfortable part about acupuncture is that they stick these little metal balls into your ear and they hurt! I had to leave these torturous things in for the whole day and night. Fire cupping is where the doctor creates a vacuum in a bunch of small glass cups and suctions them to your back. This is supposed to get your qi or energy/blood moving and draw diseases out of your body. The cups are left on for 5 minutes and when they are taken off, they leave marks that last for about a week or two, depending on how much poison your body has in it. If you have a lot, the marks will be dark red, almost like bad bruises and will take a long time to go away. If you are “healthy,” apparently as I am, the marks will be very light and go away quickly. After having experienced both of these treatments twice already and am set to have another today, I can say that I am still not sure if they work well or not. My neck and back have since stopped hurting, and I feel a little better, but I don’t have some euphoric feeling that others have claimed to feel. I am most hopeful that these treatments with the actual Chinese medicine that I have to drink can make whatever is causing my allergies (probably bad digestive system or hormones) go away! This post will also be in Chinese!!! If you know me, you know I am allergic to almost everything. In China, this is a problem. One of my most prominent allergies is to soy sauce and here they put soy sauce in everything. I often eat out at restaurants in China because 1: I don’t have much time to cook my own food and 2: the cost of eating out every night is so cheap that it is worth it. Here you can buy beef and noodles for about 10 kuai at an expensive place. 10 kuai is less than 2 dollars. I usually buy an all meat an vegetable meal though, so that costs about 30 kuai which is still only $4 compared to a $12 steak meal back home. The fist thing I did before and after I came to China is to look up how to say and read all the things that I am allergic to (not an easy task.) At these restaurants I generally tell the waiter that I cannot eat these things and she usually either says ok or I have to order something else form the menu. Even though I tell them not to put these things in, I think there is still contamination from sharing the cooking surfaces or they do not know exactly what has or doesn’t have that stuff in it. Today I am going to see a Chinese medicine doctor. My teacher gave me a list of all these legitimate shops and places where I can get treated for my allergies. I actually already have a list of herbs and stuff that I will buy. I found this list when I was searching for studies on Chinese medicine curing allergies. Apparently there is currently a study being done in America that has had success using these herbs. I also want to get accupuncture. Chinese medicine could work for me, who knows. Many Chinese people believe it is better than western medicine. In some ways, it could be true. They have a much longer medicine history than we do. Shanghai is a huge clash of two very different cultures and from where we have been going lately, you can tell just that. Right around the former French Concession area, there is are a few interesting markets to check out. 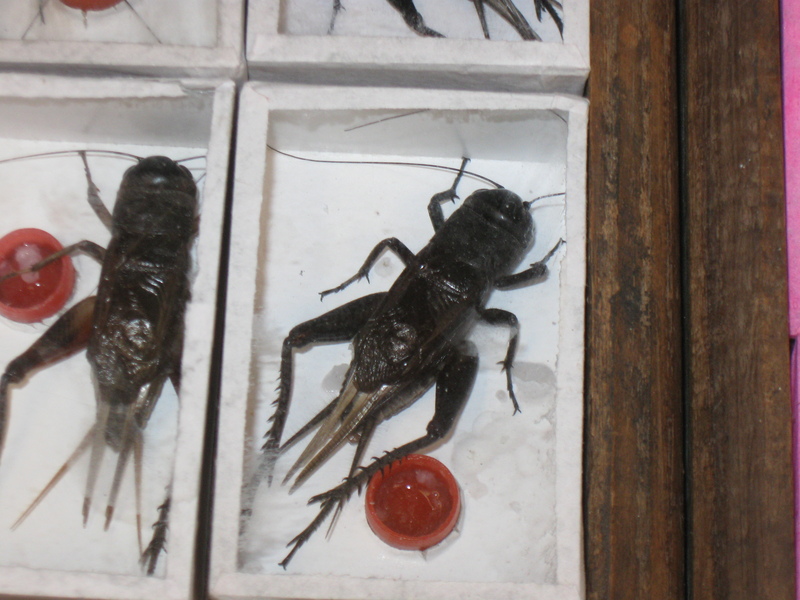 One is called the “Insect Market.” You can buy just about any creepy crawler or animal here. The big thing about this place is apparently the sale of fighting cockroaches. These huge ugly things are often bought by elderly Chinese with too much time on their hands in order to compete with other ones. These competitions are an Eastern way of gambling, but instead of losing your money to a casino (the man), you get to lose your money to another old guy with a better cockroach. I haven’t seen a cockroach fight but I’m sure that they are very intense (Ha). These fighting cockroaches are also very expensive. Some poor souls pay over 100 kuai just for one, while the singing cockroaches go for well under 30. 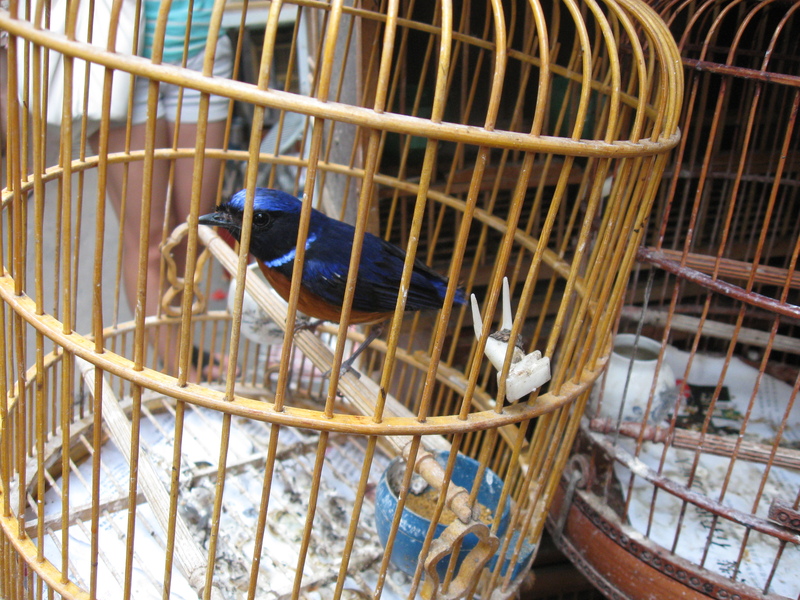 "I may look cool, but if I get out of this cage, I'm pecking your eyes out." After we went to the insect market, we hit up the tea store building. I love tea so this was one of my favorite places to shop. The tea mart as I call it has all these little shops run by different people in which you can first go test the tea, and then buy it. 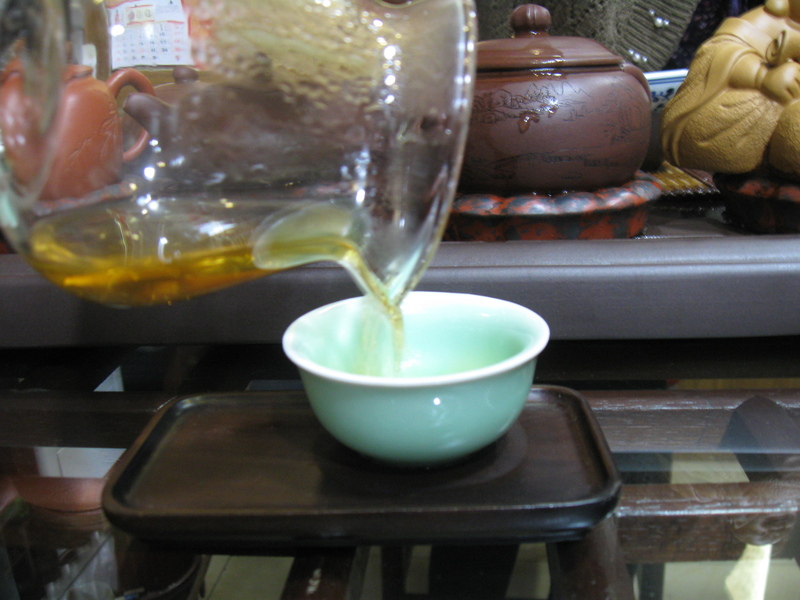 All of the shops are set up the same way: a table in the middle of the room with tea displays all over the walls. The most expensive teas are near the entrance of the building while the cheaper ones are towards the back and upstairs. We went to two stores, one at the entrance, and one in the back. The store at the entrance had the sweet old lady that you saw at the beginning of this article. She was so nice and probably puts up with Westerner shenanigans every day. 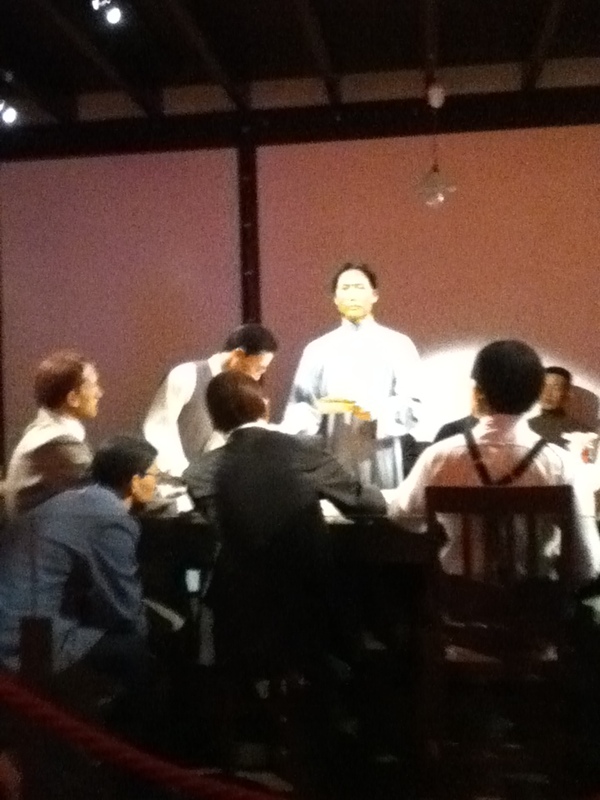 Half of our group, which was about 12 people, squeezed into this shop and sat around a table meant for six at the most. Tea lady still served us all. We tried two kinds of tea, Ginseng Oolong Tea (人参乌龙茶）and Jasmine Tea (茉莉花茶) Both were amazing, but I didn’t buy anything from her because her prices were too expensive. She was so nice though, I felt like someone should have bought something. I think that’s the prevalent marketing scheme here; smother your customers with love so that they feel bad leaving without buying anything. Anyways, we were at that store for about a half hour trying her tea. Before we left, I wanted to check out the cheaper stores and buy that Ginseng tea since I already had some Jasmine at home. At the second place, I bought some for 35 kuai for 50 grams of it. 50g is not really a lot, so it was still a little expensive, but the little bag of tea I bought lasted about 3 weeks using some every morning. After the tea market came the most non interesting place in Shanghai: the fake market. The reason I think it is not interesting is because all of the street vendors sell the exact same things and all the items are either junk or most likely lead filled tea kettles and cups. The only thing I would consider buying there is one of those Mao/Sun Yatsen type shirts with the distinguishing collar. I would write more about this place, but there isn’t much more to say than that. Hey all! I have to apologize for being absent for so long, but quite a bit has happened in the past few weeks on top of the insane amount of homework we have each weekday. Good thing is, my Chinese is getting so much better. I feel like I can have somewhat of a conversation with my teachers now. I’m going to write a few different posts starting from oldest to newest events. Yesterday a group of classmates and I went on a scavenger hunt around the French Concession area near the Bund. If you are ever in Shanghai and are looking to blow a lot of money, this is the place you want to be in. I am not joking, a little personal pizza costs about 120 Kuai or about $20 US. This place is really nice, but the prices are just ridiculous. I feel like I was pick-pocketed after eating lunch here. That aside, there is a lot to do in this area. For our scavenger hunt, we had to visit various museums and learn about some of China’s history. Next month there will be a celebration of the 90th year since the Chinese Communist Party was formed, so there has been a surge in the number of people attending these kind of museums. The first museum we went to was just for the history of the foundation of the Communist party. Why does this make me feel like the last supper? 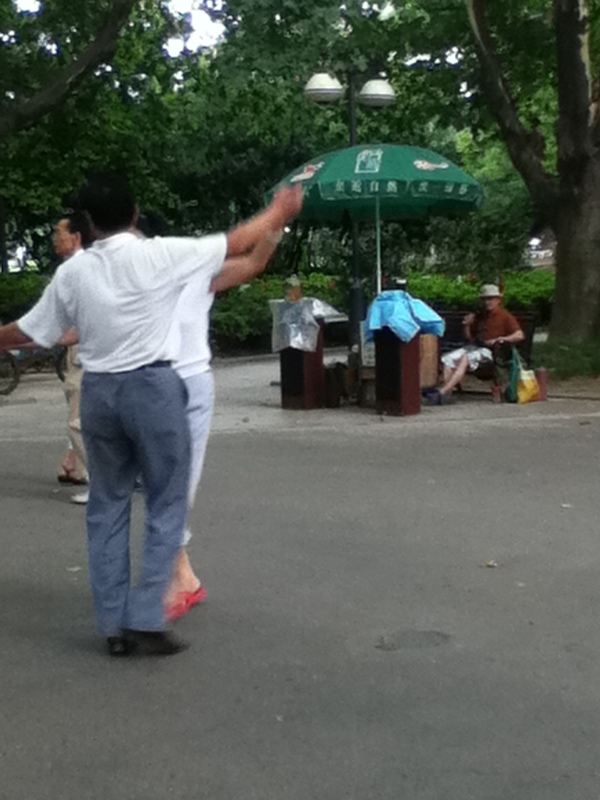 After the CCP museum, we went to FuXing Park. This place is really beautiful and is a great spot for night life such as clubs, bars, and drunk people watching. 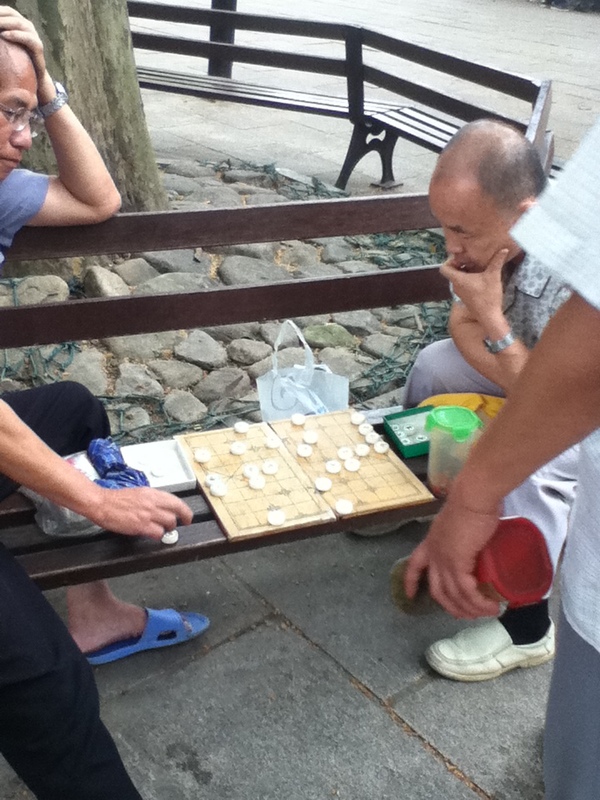 In the day time though, you can see many elderly Chinese playing chess with each other and couples dancing to slow music. I think his shoes say it all. After the park, we visited the former residence of Mao’s right hand man, Zhou Enlai. It was a really fancy mansion that he lived in. Apparently when he was living in Shanghai, the KMT had a lookout post right across the street to keep an eye on him and the others 24/7 . On the way back home, we took the bus because we were exhausted from walking so much. 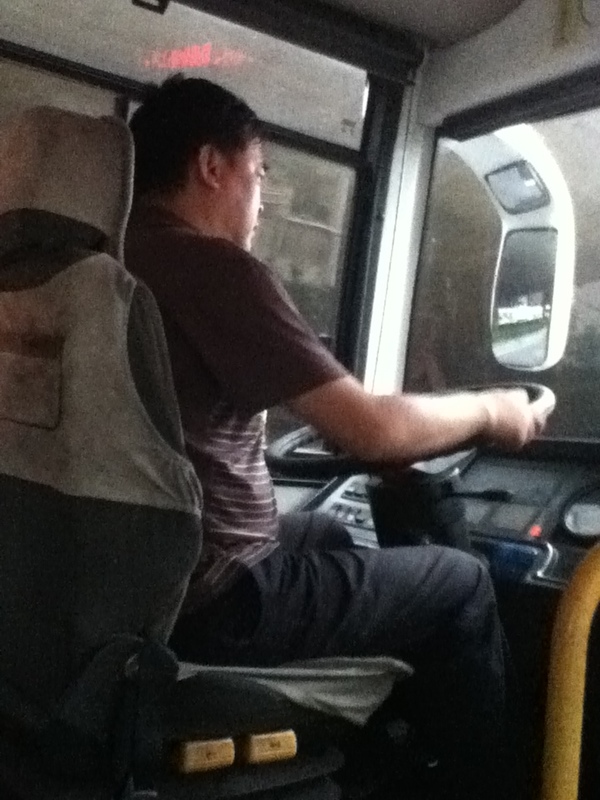 While on the bus, I learned one thing: the drivers keep it real. They are the most aggressive people on the road and our driver yesterday in particular was the man. This guy was driving a stick shift bus with one hand while he was either talking on his phone or drinking tea with the other. "Oh hey Sue. So like yesterday I totally saw this hot dress at Macy's and I was like OMG this would so impress Johnny but it was like wahyy too expensive. What a rip off. Hold on this guy is honking at me. WHAT? NO YOU MOVE. Sorry, so like yeah did you go out to dance last night?" China is famous for having many different types of food. Since it is so big, before cars and other forms of modern transportation were invented, many Chinese people were isolated from each other for long periods of time, making them create their own different customs and styles of food. 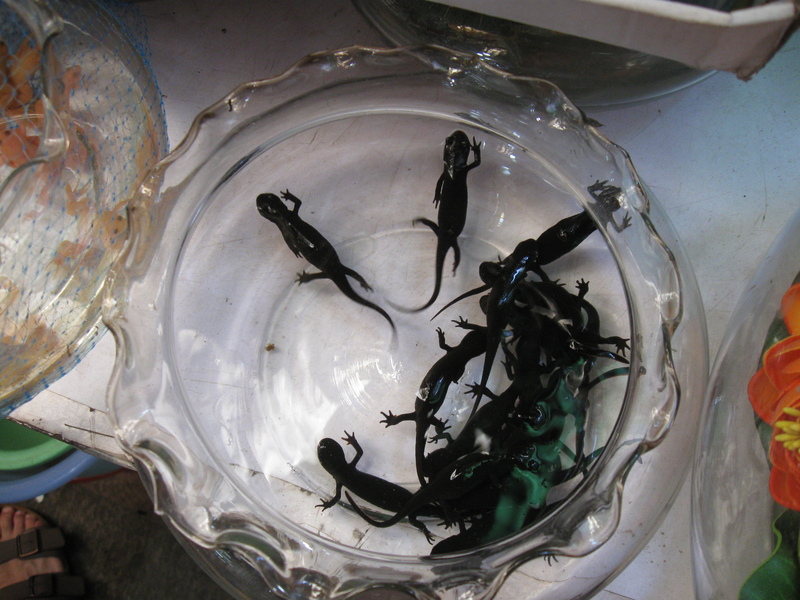 Western China is famous for its spicy food, Eastern China is famous for its seafood. Beijing is famous for Mongolian Hot Pot. I love all kinds of Chinese food but I think my favorite is Sichuan hot pot or 四川火锅. Its a very involved eating process. A hot pot is unique because everyone puts their own food in a boiling pot of water in the middle of a big circular table to cook it, then takes it out when its ready. When you go to eat hot pot, you need to bring people that can eat the things you do. This was our problem tonight. I cannot eat fish, chicken, soy, sesame, etc. One of my friends that went with me does not eat red meat! This was kind of a problem. We were pretty lucky though because we knew just enough Chinese to get a pot that was split into two different sections, so our food didn’t touch. Sichuan food is really spicy. When you eat something out of a hot pot, your tongue will tingle, and you will sweat. Its funny to think about how Sichuan is has an extremely hot climate in the summer, yet they still love spicy things. We ate like kings for like $7 a person. In our side of the pot we had thin strips of lamb and beef. In the other side, they had chicken. We also had some vegetables which were pretty good. Anyways, on a personal note, I am very tired. I haven’t had more than 7 hours of sleep in a night since I came to Shanghai. That being said, I’m going to bed early tonight!